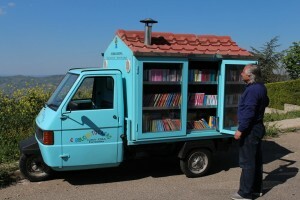 Retired schoolteacher Antonio La Cava from Ferrandina, Italy calls himself “the master of the road” in his little book mobile, a vehicle he created to be a library —complete with a little chimney— on wheels. 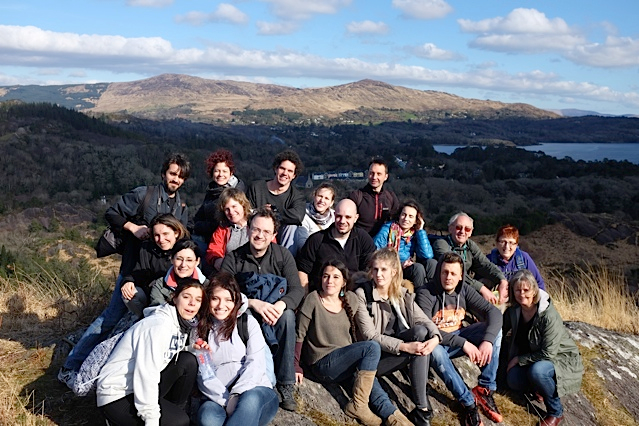 He has travelled the Italian countryside since 2003, bringing books to children and adults on eight different stops in various villages in the region of Basilicata in the south. 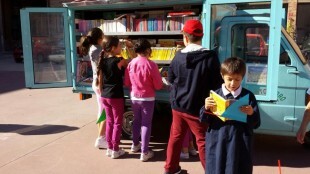 He plays an organ to announce that he has arrived, and the children come running to browse through his books.